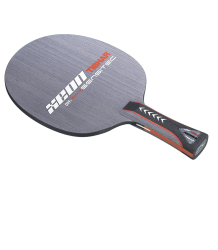 Sensitive, light and handy blade for the spirit-minded players who like to play a wider range of spin strokes, without loss of precision and power! Additionally, this blade provides great security and lots of effectiveness in short exchanges in the passive game. For players who more than anything else want to make the point. Sensitive offensive blade, Xeon was not primarily developed for an offensive game without compromise, but more for a variable attacking game delivering sufficient security and effectiveness while serving or blocking. Xeon is the perfect balance between speed and control for a controlled offensive game. I received the last 2 blades in the series from Tibhar Germany. I choose to review these blades since i have reviewed the sigma sensitec already. the sensitec series of blades are very under rated. good performance at a good price range. aside from the very good looks in design, these blades will be very pleasing to all wood users depending on their style of play. It’s a bit thinner than its sigma brother but also offers good speed and a balance on control. this blade was designed by Tibhar for players who wanted to attack but will not compromise on control of their strokes. although the design of the blade has some similarities with the epox series of Donic it doesn’t play identical automatically. The xeon while not as fast as its thicker sigma brother can still be considered fast enough. if partnered with a fast rubber like the 1Q or 5Q it can be an all out attacking set up with good control. while doing the fh to fh and bh to bh drills it offered good feel upon soft and hard contact on the ball. Its not super fast. I would rate it only faster than a peter korbel blade or an OC blade. it shined well on looping. spinny loops are very much expected from this blade with good amount of control. it doesnt vibrate a lot but its flexible enough to loop. Short game was very good. Playing close to the table, this blade is good for inside the table strokes like flips or drop shots. 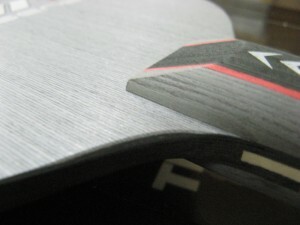 Because of the blade’s control, minimal adjustments are needed when doing short strokes. This is a close to the table blade. If it goes mid distance it loses its power. 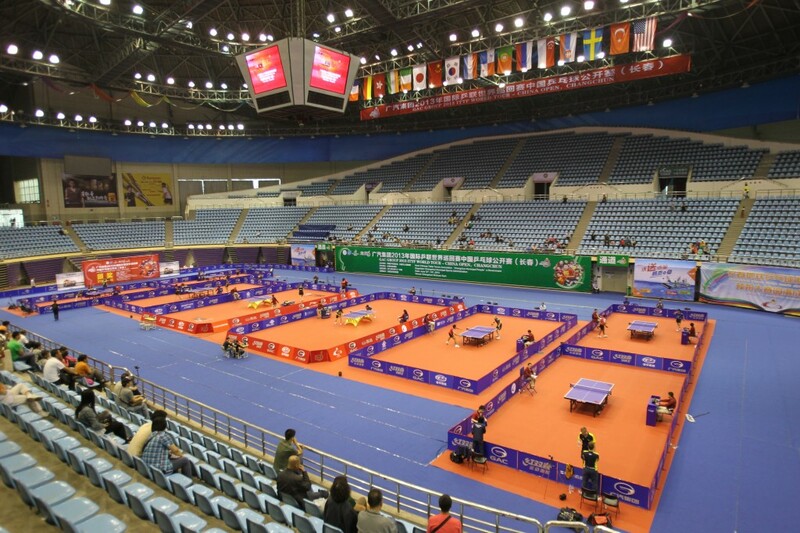 Faster and spinnier rubbers are needed when you play a bit farther from the table. i would recommend this blade to intermediate to advance level of players. This beautiful blue blade is a control set up. It is good that Tibhar when designing blades they would make 3 blades with 3 different levels of speed for which different levels of players can choose. The icon version was designed primarily for beginners who are just starting to develop their strokes but wanted to do away with those hobby bats that offer less than what beginners are expecting. I also realized that this blade was also made for all around players who loves to block, push, do placement shots and attack at the same time in order to win points. The icon is a slow blade. With an ALL+ speed its no faster than an AC blade. 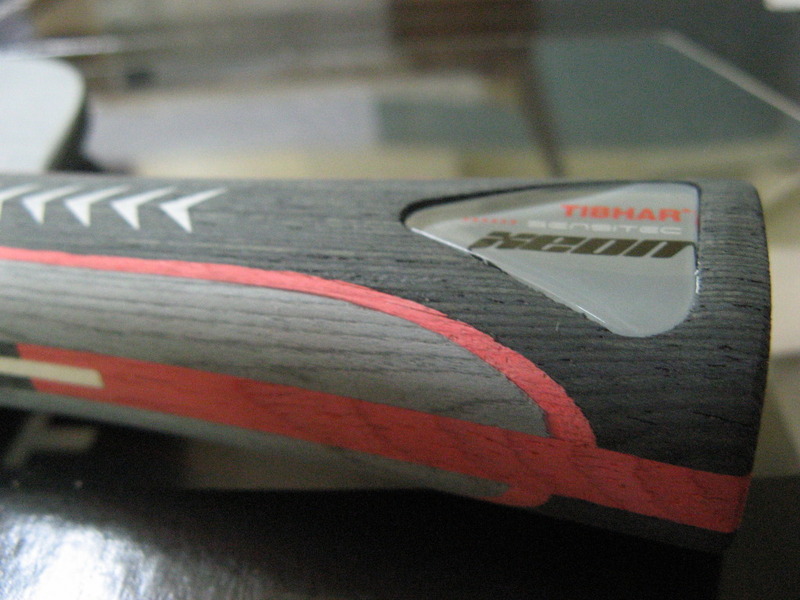 This very light and sensitive blade enables a player to develop touch and accuracy on his shots. For starting players, this blade is fun to attack, push, block and do all kinds of things. The RITC 837 long pips was good on the Icon. Either you are an LP hitter on the backhand or an LP blocker, the icon performed great on both styles. For advanced players using this blade these are the 2 styles of using LP with this blade. You can chop with it but its not really for chopping. I think the Sensitec series is under rated. The stratos series is good too but i have yet to test them. 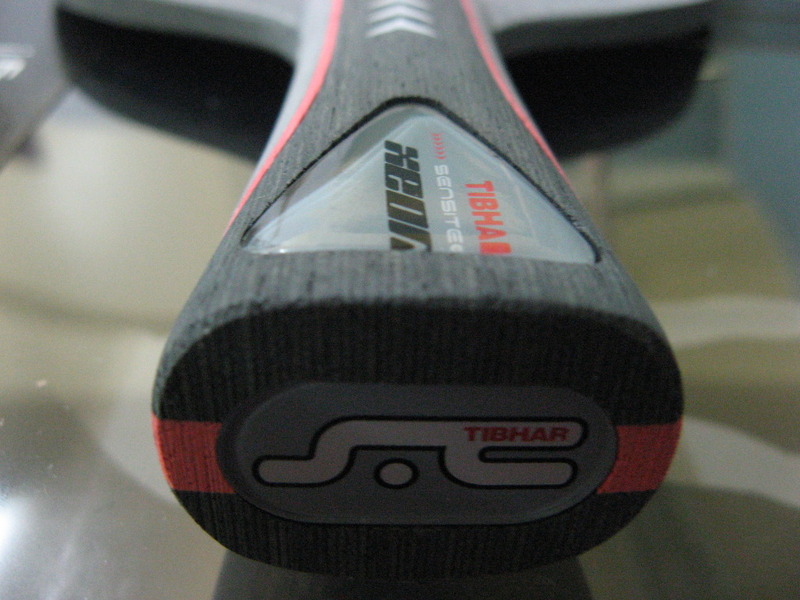 It is good that these blades were designed depending on the player’s level and style of play which means Tibhar really cares about the needs of buyers.